UPDATED: February 18, 2016, at 12:01 p.m.
A major private sponsor to Harvard Law School student organizations discontinued its funding for student events after receiving complaints about a discussion hosted by the group Justice for Palestine, forcing the Dean of Students Office to compensate and leaving some questioning the influence of corporate donors at the school. According to Law School administrators, in 2012, Milbank—an international corporate law firm–pledged $200,000 each year over five years to be allocated to student groups at the Dean of Students’ discretion, with the stipulation that groups publicly recognize Milbank’s contribution on their promotional materials. The event—which between 80 and 100 people from across Harvard attended—invited attorneys to discuss their research on what they identify as a phenomenon of pro-Israel groups silencing Palestinian human rights activists at universities and institutions across the United States. Funds from Milbank paid for $500 worth of pizza, according to event organizers. Organizers wrote in an op-ed in the Harvard Law Record Tuesday that in order to comply with Milbank’s funding policy, they included the firm’s name when publicizing the event. Additionally, organizers said a line on the bottom of their Facebook event page read “This event is brought to you by the good folks at Milbank LLP.” This sentence in particular triggered a back and forth with the Law School that ultimately led Milbank to discontinue funding for student events after the current installment of its gift ended. Milbank has a strong relationship with the Law School, according to Law School spokesperson Robb London. Milbank Chairman Scott A. Edelman graduated from the Law School in 1988, and his firm partnered with the school in 2011 to establish a professional development program for its attorneys called Milbank@Harvard. Since it was established, the firm’s student conference fund was a major sponsor of student events—until the controversy surrounding Justice for Palestine’s fall event. In an email to Edelman two days later, pro-Israel watchdog organization NGO Monitor called Milbank’s attention to the event and questioned the firm’s link to Justice for Palestine. In response, Milbank partner Tom Arena wrote that the firm did not endorse the views of the student group, and it had asked Justice for Palestine to remove the contentious line from its Facebook page at the Law School’s request. In early January, student groups received emails from the Dean of Students Office notifying them that Milbank had discontinued its funding, which the school planned to replace. “There has been a restructuring of the Dean of Students Office conference funding. There is a new fund entitled the DOS Grant Fund. This fund will replace Milbank funding,” Law School student activities coordinator Tracey-Ann Daley wrote. 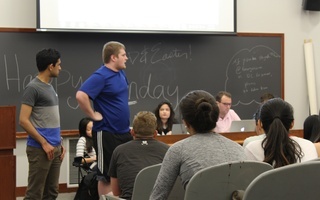 Student groups had already completed the application process for spring Milbank funds and were beginning to plan events. The sudden restructuring of funds left the Law School responsible for replacing that sponsorship with money from other sources. “The Law School is able to fund student conferences with other resources, and the Law School has continued to maintain the same level of funding to support student activities,” London wrote the statement. While administrators said the overall amount of funding has remained the same, the reallocation has left some student groups with less money than before. Several student group leaders said they were initially notified by the Dean of Students Office that they would receive fractions of the funding they had requested. Justice for Palestine members were initially allocated $500 from the DOS Grant Fund, and after petitioning for more, they received an additional $2,000. Leora A. Smith, one of the organizer’s of Harvard Human Rights Journal’s annual symposium, said they initially received $1,000 of the $7,000 Milbank gave them last year. Representatives from Unbound: Harvard Journal of the Legal Left and LAMBDA, a BGLTQ affinity group, also said they received significantly less than they had in previous years through Milbank. The loss of Milbank funding had particularly dramatic effects on student practice organizations, which are not eligible to receive funding from the Dean of Students Office. Advocates for Human Rights applied for $8,000 from Milbank for the spring semester, and without that funding, they will have to cancel several events, according to co-president Brian Klosterboer. Marcia L. Sells, the Law School's dean of students, said her office is reviewing funding allocation processes to eliminate inefficiencies. “The goals of the review are to encourage collaboration among student organizations when their proposals are similar or on related subjects; to reduce the number of events that compete with one another for attendance; and to make certain that funds are available for a diverse variety of events,” Sells wrote in a statement. “The review is ongoing, but in the meantime, every student organization that has applied for funding this semester has received funding, as was the case last semester." Students from several groups, though, expressed concern about funding for next year. Some student group leaders also have have questioned the extent of corporate law firms’ influence over the Law School in the wake of the Milbank incident. In their Harvard Law Record piece, Justice for Palestine organizers highlighted the “irony” that an event discussing the suppression of speech resulted in private donors removing a critical source of funding from the group. In their op-ed, Justice for Palestine members called on the Law School to stop accepting donations from Milbank completely. Law School spokespeople, however, said the school’s relationship with Milbank will continue. Representatives from Milbank did not respond to requests for comment. Any sign of misuse of the funds it disburses is reason for concern, and the UC should thus act accordingly in ensuring the accountability of student groups. 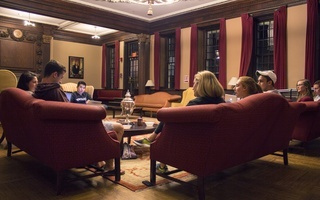 Funds will be allocated to various Council committees and initiatives, including the new Grant for an Open Harvard College.